The Diocese of Llandaff is the most populous of all six Dioceses in Wales. It covers an area taking in the west of Cardiff in the east to Neath in the west, and the Heads of the Valleys road in the north. 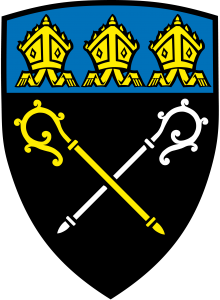 The Diocese is divided into three Archdeaconries, which are further subdivided into Deaneries. Each Deanery comprises a number of separate parishes.